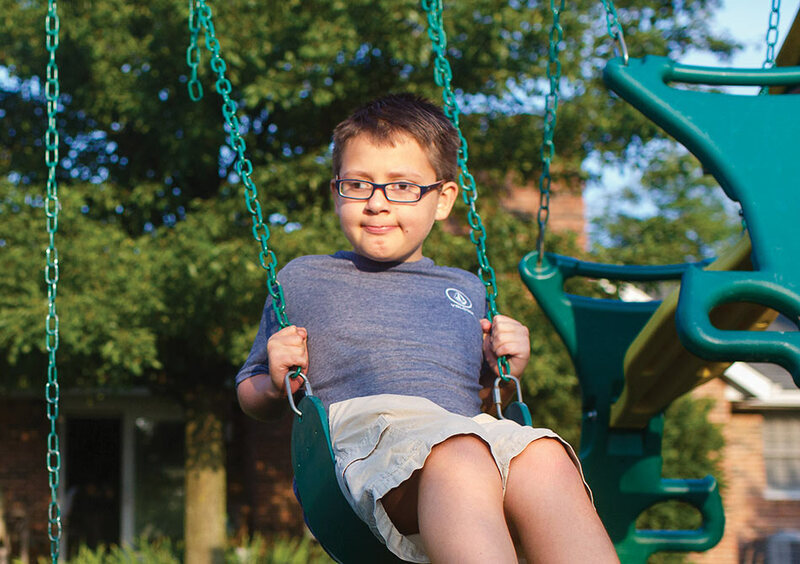 When Cynthia Geisen found out her 8-year-old son had a life-threatening brain tumor, one thing was certain. She wanted the best care possible for him. Following an extensive surgery in Cincinnati earlier this year, this busy mother of four found herself driving Matt to the city three times a week for physical, occupational and speech therapies. Little did she know, she could get the same incredible care much closer to home. “My breaking point came one day when I had a flat tire in the pouring rain,” said Cynthia. “I was an hour from home and needed to pick my other kids up from school. First, I called AAA, and then I called Margaret Mary’s rehab department. They got Matt in quickly, and we’ve been going there ever since.